I attended the first ever PodCon in Seattle this weekend. It was co-founded by Hank and John Green who are You tubers who have a successful Dear Hank and John show, Joseph Fink from Welcome to Nightvale, Justin and Travis McElroy (My brother, My brother and Me). I went to the opening ceremonies with close to 1000 people in the room that erupted any time any of these people came on the stage. They had other podcasters as well. They were asked questions and were all very witty. When asked about any weird jobs they had done in the past one person answered “Youth Pastor” and the audiences erupted into laughter with people falling out of their seats. I stood there grinning. I realized that there was an inside joke but I was not inside to get it. The only way to get inside is to talk to as many people as I could. As the music business is having a hard time, many bands now tour together as a festival. These bands may not bring enough people out to support a solo show, but combine them together you have enough people to warrant the expense of the tour. You then get the added cross-promotion benefits. While some of these shows COULD “Tour” solo (Nightvale does), pooling these famous podcasts together provides their similar audiences to come together and bond. They also have opportunities to go to signings and meet their favorite podcaster. In the case of the Greens, there was a lottery to be involved in the signing (that is a new kind of fame). I found out that ar events like ComicCon and DragonCon people dress up like their favorite characters. This was happening at PodcCon. What some might call “Weird,” is actually called cosplay as many people dressed as characters (especially from the Adventure Zone show, and Welcome to Nightvale ). 32:40 When you reply to an email, tweet, comment, thank everyone for listening, and then ask them how they found your show. If it was from another person (word of mouth) find that person and thank them and ask them how they found your show. Check out Drew at www.sleepwithmepodcast.com and check out Drew's interview with Dave. 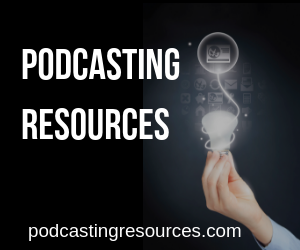 Join the School of Podcasting and learn at your own pace.